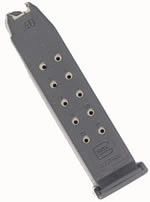 Load your guns with brand new pistol and rifle magazines available at Target Barn. Target Barn carries brand name magazines from companies like Glock and Magpul. 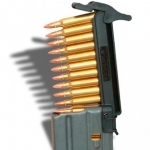 30-round and 40-round magazines for your AR-15, SCAR-16s or HK MR556 are typically in stock. Magazine loaders take the hassle out of manually loading your magazines, speeding up the process so you can get to shooting faster.